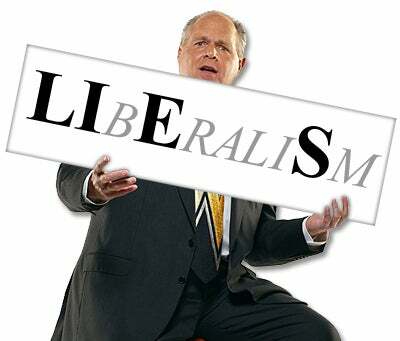 RUSH: I have a story here from Breitbart. The headline: “Donald Trump Astonished by Positive Tax Cut Report in ‘Very Fake’ New York Times.” We had this story yesterday. The New York Times actually ran a story that essentially said: Face it. You probably got a tax cut. This after two years of demagoguery and lying to people that they weren’t gonna get a tax cut, that their taxes were going up, that 10,000 people a year additional would die in this country because of these tax cuts. And so Breitbart’s story here is all about Trump’s reaction to it. And it is curious. I think the reason that the Times had to run the story is because now, with refund checks coming in and people getting bigger refunds than they were told – it really is stunning, the number of people who thought they weren’t gonna get refunds, their refunds are gonna be smaller, they were lied to from beginning to end on this tax cut story. And it had multi-reasons for it. One, the left doesn’t want any tax cuts at all. There’s a story in the LA Times today saying the problem with tax cuts is they’re not high enough. Bernie Sanders out there in his town hall with Fox News last night — we’ll have some sound bites of that coming up — needs more taxes to provide his free Medicare for all. Wait ’til you hear how Bernie Sanders explains it’s gonna be free. He acknowledges it isn’t gonna be free, but it’s gonna be free at the point you use it! Wait ’til you hear this! But the point is the left doesn’t want tax cuts ever. They don’t want government getting smaller. They don’t want you becoming more self-reliant. They don’t want you having more control over your financial life and future. They are for growing government, more taxes. And they hate Trump. So anything Trump does that is going to improve the lives of average Americans, the deplorables, the people who make the country work, anything that’s gonna give them more control over their lives, more financial security, more back-pocket money, they have to destroy this. They have to make sure that whatever people think is gonna happen good is not gonna happen, and the media was aligned in a never-ending effort to destroy what everybody thought was gonna happen with tax cuts. The government was gonna collapse, people were gonna die, new outbreaks of illnesses were gonna happen all because of Trump’s tax cuts, and the piece de resistance was that even with a tax cut you were gonna be paying more. And it was one of those things that while they are doing it, didn’t spend a lot of time on it, said nobody’s gonna believe this. 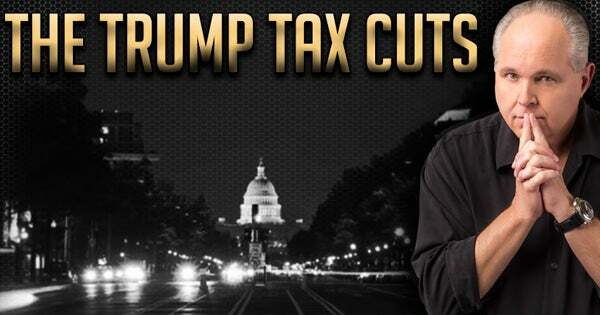 Tax cuts are tax cuts. You end up keeping more of what you earn. But, lo and behold, a shocking percentage of people in this country bought hook, line, and sinker that Trump’s tax cut was gonna cost them money and add additional pain to their lives. But then the truth begins to happen with tax refunds and people getting more than they thought, and so it came time late in the cycle for the New York Times to run their story: “Face it: You (Probably) Got a Tax Cut.” Face it. You probably got a tax cut? That headline alone tells you what they knew they had created. Now, speaking of the lies that the media has fed us for more than a year about Trump’s tax cut — and, boy, they were doubling down on this right before the midterms. If you recall the news from early through end of October in 2018 was just savage on the Trump tax cuts. This is one of these things, who in the world is gonna believe this? I’m sorry, it’s one of those instances where I should have said everybody that consumes mainstream media is gonna believe it. But I just got so inured to the fact that — you know, everything, Republicans are gonna kill you, Republicans are gonna kill your neighbor, Republicans are gonna poison your water, Republicans don’t care about clean air, Republicans want to pollute. I mean, it’s absurd! “When graduate students were told their tuition waivers for working as teaching assistants and researchers would become taxable, they calculated that their taxes would increase by 61 percent.” Therefore they said grad students will have to quit doctorate programs. Trump’s tax cut was going to wipe out graduate schools. Kurt Eichenwald: “America died tonight. Economic suicide adopted to feed the insatiable greed of donors, who have been refusing to dole out $ to GOP until they got their tax cuts. Voters fooled by propaganda and tribal hatred. Millenials: move away if you can. USA is over. We killed it.” America is dead. Millennials were advised to leave America. Number 7. “Rick Newman at Yahoo Finance wrote about a looming ‘tax surprise’ in 2018, without ever explaining why giving the government a smaller interest-free loan with every paycheck might be better than a fat refund.” Which I’ll explain here in a moment. “People Are Getting Bigger Paychecks. Here’s Why That’s Bad.” Was the headline. “People Are Getting Bigger Paychecks. Here’s Why That’s Bad.” It’s all about the withholding that was changed. So some people, if they didn’t make any changes at all to their own W-4s had less withheld, their paychecks were bigger, that was bad. You know why that was bad? That was bad because your refund is gonna be smaller! You know how many people in this country have been trained to believe a big refund is them screwing the government? It turns out this guy was overpaying his taxes every year like you can’t believe just to get the big refund to be able to brag about how he was screwing the government. He was giving the government his money interest free all year. Now, some people like a big refund because it’s the only time in their lives they’re gonna have a thousand or 2,000 or maybe $3,000 in one chunk. But the fact of the matter is that if you get a big refund, you are having too much withheld from your paycheck. You are paying the government too much every pay period and they’re keeping your money without any interest and then giving it back to you in the form of a refund. And it’s the government behind this scam that makes you think you’re screwing them. They’re happy for you to think that you’re screwing the government ’cause everybody — when it comes to taxes, everybody hears about how rich person A, rich person B doesn’t pay anything. So if he doesn’t, it must be possible. And the closest you can get to that is a gigantic refund. Well, that may be true, just a little discipline called saving. It’s tough to do. But this lie, most people are getting bigger paychecks, here’s why that’s bad, you’re being lied to by this guy claiming that it’s really better to let the government have your money all year and give it back to you in the spring. The fact that your paychecks are bigger is bad, bad news. It’s more government trickery. Just obscene. New Yorkers allege all Americans will suffer. And then there was Paul Krugman, New York Times: An endless global recession. This guy has been shown to be so ignorant and so wrong and so discredited on matters of economics, he should have been fired from the New York Times, and they should have been embarrassed to have had him on the payroll for as long as he’s been. He’s never right about this stuff. Like Paul Ehrlich and The Population Bomb. These guys on the left have never been right about their apocalyptic predictions of anything. Life continues to get better in any which way you measure it. These people continue to preach the apocalypse, they continue to be gospel givers and so forth. It’s obscene. RUSH: So it remains true. The president, the Republican Party cut taxes on most Americans but hardly anybody believes it. Hardly anybody believed it. Ninety percent of Americans, on Tax Day… Yesterday. Ironic here. Ninety percent of Americans paid less taxes than they did a year ago. And they think they didn’t get a tax cut. And Bernie Sanders on Fox News telling everybody they were gonna have to pay more taxes to implement his policies.